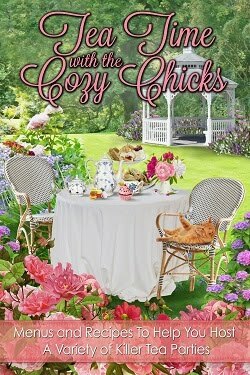 Cozy Chicks: LEFT OVER EASTER EGGS? NO PROBLEM! LEFT OVER EASTER EGGS? NO PROBLEM! 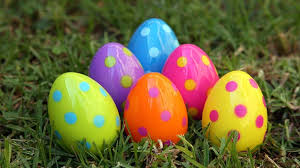 Did you buy dozens of extra eggs, planning to boil them and decorate them? And now you have a couple of boxes of raw eggs left in the refrigerator? 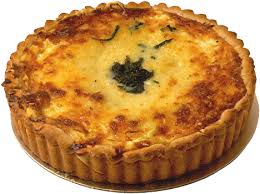 No worries, I'm going to give you my favorite quiche recipe which requires 4 eggs and makes two delicious quiches! Here goes. I use Pillsbury ready-made pie dough, but you can make your own if you're so inclined. The recipe is super easy. Add: 1 cup of milk, 1 cup of mayo, a tablespoon of cornstarch and a pound of grated cheddar. (Note: I started grating the cheddar myself instead of using the "shredded" cheddar when I learned that the "shredded" stuff is coated with a chemical to keep the pieces from sticking together.) If you don't have cornstarch, you can use a tablespoon of flour. Saute an onion and divide it between two ready made uncooked pie shells. Pour egg mixture into the two pie shells. Top with fresh parsley or chives, if you like. Bake at 375 degrees. If top becomes too brown and quiche is not yet cooked, place a piece of tinfoil over quiche and continue cooking until quiche is "set." 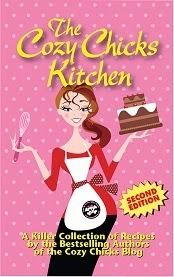 For more delicious recipes, be sure to grab a copy of our Cozy Chicks Kitchen cookbook. Labels: Berkley Prime Crime, cozy chicks, Easter Eggs, Mary Kennedy, quiche recipe. Sounds great Mary. Happy Easter to you and your family - including the furry ones. Sounds super easy! Thanks & Happy Easter to you. HI Robyn, so glad you are going to try this. I love it and it freezes well, too. HI Lynda, Happy Easter to you, too! Hi Cordellla, yes, you can use 9 inch pie pans. I happen to have a couple of 9 inch pie pans--very pretty, they look like porcelain and are oven-proof. And the quiche freezes very well. Usually I cut it into 4 pieces, wrap the pieces in tinfoil and freeze, or you can just freeze the whole thing. Hi Linda, Happy Easter! Thanks for stopping by. It sounds yummy & easy!! Thanks, Mary! Hi Harbinger, LOL. 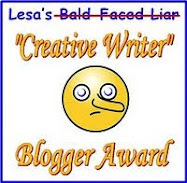 After I wrote that, I thought, "Yowsers, I am surely dating myself with that expression." I am glad that someone else still uses it, you made me feel better!! Thanks so much for stopping by. Be sure to let me know if you try it. Whenever I make it, everyone asks me for the recipe. I think you'll like it. HI Joan, the cats would probably like it if they got ahold of it--I have one cat who will eat anything, she is awful! She ate some carrot soup I left out on the counter and turned my back for 2 seconds. It contained cream cheese, veggie broth and cooked carrots...just three ingredients. It is delish and I make it in the blender. It never occurred to me--not in a million years--that she would eat it. I think maybe the "newer" term is aluminum wrap. :-) Or as my Brit husband calls it A-LU-MINI-UM. I have to idea why British people say it that way, but they do. LOL.